How does a betting exchange work? Understanding how exchanges work is key to successful Matched Betting. It is normally the concept of lay bets that people have difficulty grasping and it is at a betting exchange like Betfair that you place lay bets. I thought I’d make a short video on how an exchange works, feel free to read the text below also if you prefer a text version. When laying bets you stand to win your stake whilst you stand to lose your liability. For instance, if you lay £10 and your lay bet wins you will win £10, if your lay bet loses you will lose your liability. The liability amount is dependent on the odds. A betting exchange connects people who have opposing views. Peter and Jane are both horse racing enthusiasts. Peter thinks that Red Rum will win the 14:00 at Ascot whilst Susan is undecided on who will win the race, however, she knows Red Rum is tired from a previous race and so thinks Red Rum will not win. Peter believes the exact opposite of Susan. A betting exchange lets Peter bet against Susan, albeit anonymously. At an exchange, Peter can back Red Rum and Susan has the opportunity to accept that bet and thus effectively become the bookmaker by saying Red Rum will not win. When a bet is accepted we say it is matched. We say that Susan is laying Red Rum. If Red Rum wins it is Susan who must pay Peter his winnings, the amount Susan would have to pay Peter is known as Susan’s liability. If Red Rum doesn’t win then Susan’s wins and she takes Peters stake minus the exchange commission. Susan is laying Red Rum. i.e…. Susan believes Red Rum will not win. So, let me say it another way, when you walk into a bookmaker and place a bet on Liverpool to win (obviously), the bookie is by definition saying Liverpool will not win, the bookie is laying Liverpool to win! For the bookie to be successful Liverpool need to draw or lose. For your bet to be successful Liverpool need to win, any other outcome will not do. If Liverpool win, the bookmaker must pay you your winnings, right? Of course they do! Your winnings ARE the bookies liability. So at an exchange you can BE THE bookmaker, it is the key ingredient to matched betting. The ability to bet that something will not happen. By combining a back bet with a lay bet it is possible to cover every possible outcome of an event. If we back Liverpool to win in the win-draw-win market and also lay Liverpool in the win-draw-win market then all outcomes are covered. Note: A draw is not a win so is covered by your lay bet. Whatever happens, one of your bets will win, ensuring you don’t lose money. Market Liquidity – Sounds complicated but isn’t. Here you can see the back and lay odds for the Liverpool Vs Man City match taken from Betfair. The best available back odds are shown in blue and the best available lay odds are shown in pink. The other white blocks show other possible odds you could go for, however, none are as good as those in blue/pink. Remember, the blue and pink columns show the best available odds at the current time. As someone backing, you want high odds. As a laying, you want low odds. Notice the other smaller numbers under the Man City back and lay odds (£8 and £176). These numbers represent the amount of money waiting to be matched at those odds, this is known as market liquidity. E.g in the Man City back odds section (blue) there is £8 waiting to be matched. This means that someone has placed a lay bet on Man City at odds of 1.72 and £8 of it is unmatched. So the £8 is an invitation to back Man City at 1.72 and thus, match the lay bet someone has placed. The same goes for the lay market liquidity. See the lay odds for Man City (1.73) has a liquidity of £176. 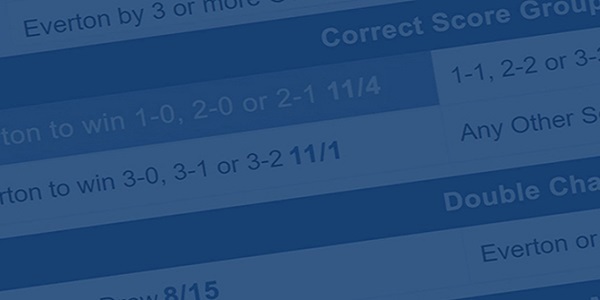 This means that there is £176 worth of unmatched back bets that require matching at odds of 1.73.